Beautifully illustrated, fully interactive guide to understanding the esoteric meaning of playing cards. 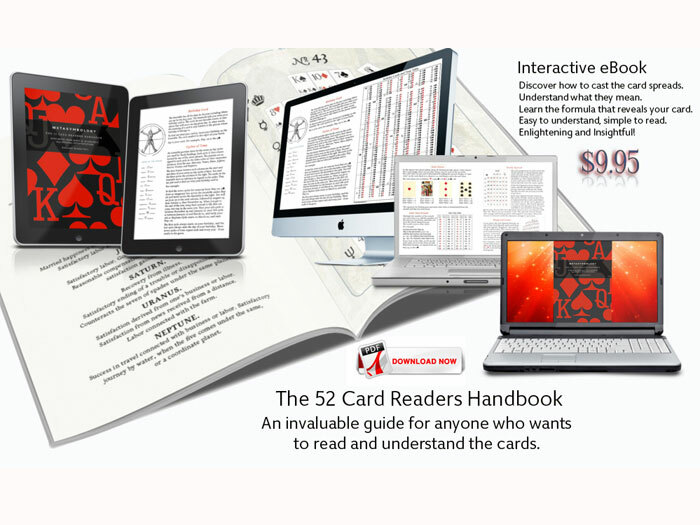 Beautifully illustrated and fully interactive, the 52 Card Readers Handbook is Daliah's first book on the ancient art of reading playing cards. It will satisfy the experienced reader and inspire the novice. Downloaded as a .PDF, this classic eBook includes all of Olney H. Richmond's predictions taken from the 1896 source document, "The Mystic Test Book".